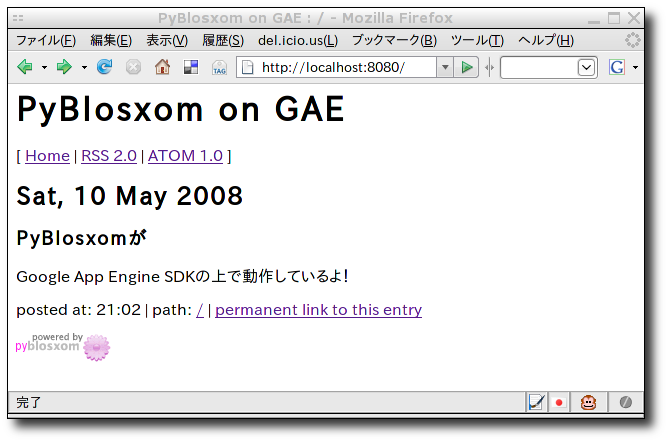 $ cp -R pyblosxom-1.4.3/Pyblosxom ~/gae/pb/. INFO     2008-05-11 05:55:30,453 appcfg.py] Checking for updates to the SDK. # is there any reason not to reuse the following structure? # END portalocking block from Python Cookbook.